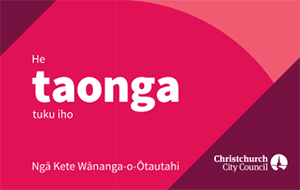 Book in your school to visit Tūranga. We work with school groups up to 60 students or by special arrangement. All sessions are free unless otherwise specified. Our school programmes are split into Horizons courses, Connect sessions and Specialised classes. Download our 2019 Horizons and Connect brochure [3.3MB PDF] to see the full information on courses, topics, and learning objectives. Our programme design and delivery aims to foster confident creative and connected life long learners. Aligned with the vision of the New Zealand Curriculum document, we provide learning experiences in a technology-rich environment. Your browser does not support inline iframes. Visit Tūranga Horizons Framework. Book a session with Christchurch City Libraries to introduce students to the national online reference service for New Zealand school students, AnyQuestions. One of our librarians will visit your school, introduce students to important information literacy concepts and guide the class through a live demonstration with an online AnyQuestions librarian. Sessions are best tailored to suit a specific class enquiry topic. Students will come away with an awareness of quality online resources and greater confidence evaluating websites and formulating search strategies.